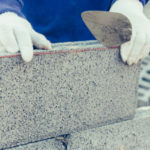 If you live in Toronto your chimney is an important component of your home, but there are certain repairs it will require over the years in order to keep you safe and warm. Toronto’s cold winters mean you are going to need your fireplace, but the cold, hash weather also means your chimney is under a lot of pressure, as well as risk for damage. 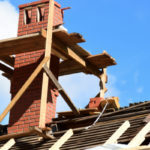 In order to keep your home and family safe there are a number of important chimney repairs you don’t want to ignore. 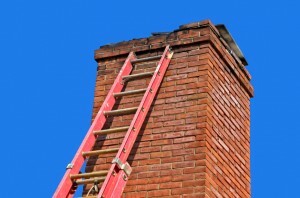 The problem is most people don’t give their chimney much thought until it starts to show noticeable signs of problems. The early signs of damage are always the easiest and cheapest to fix, although they don’t always show themselves as visible warning signs. This is why having your chimney inspected annually right before the cold season hits is highly recommended. Here we count down the 5 of the most important chimney repairs and services in Toronto. Before winter arrives and you start using your chimney on the regular you will want to have it inspected and cleaned for safety. After a chimney sits for a long time during the summer all sorts of things have a chance to occur. For one, animals may build a nest on top of your chimney, or worse inside of the actual flue. If you turn your fireplace on without knowing a nest is there it could result in a back up of toxic fumes into your home as nothing can escape through a blocked flue. It’s not just unruly wildlife that could cause your fireplace to backfire; a build up of creosote can also cause problems. Creosote is a natural black, sticky substance that gives smoke its coloring. This flammable substance will build up on the inner lining of your chimney no matter what, it may build up worse depending on the materials you use for firewood. Even using the cleanest burning wood will produce some creosote. If creosote build up is left un-cleaned it can start a house fire if a spark finds its way to a hefty hunk of the stuff left caked on the side of your interior chimney wall. If your chimney is regularly cleaned you won’t have to worry about this problem. Take a good look at your chimney (you may need a ladder). 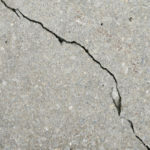 Do you notice any chipped mortar or exterior signs of wear and tear? If so, your chimney may need tuck-pointing. As the brickwork on your chimney gets older the chances for leaks increase. Having your chimney inspected for leaks will prevent a lot of problems from potentially occurring. If the mortar holding your chimney together is cracked water will have the chance to get inside. From here the water can cause damage over a period of several months, or even several years. Without regular inspections from a professional this type of damage may go unnoticed until it is very severe. By severe we mean water may leak into the inner walls of your home as well as your home’s foundation. 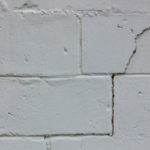 If caught early on cracked or unstable mortar joints can be easily addressed with tuck-pointing. The majority of Toronto chimneys are lined with metal. Over the years this metal will start to rust or break down due to natural exposures to water, ice or snow. Once the liner starts to break down it won’t properly do its job, which includes containing the hot and toxic fumes that must escape through the chimney flue. Without a functional chimney liner the exterior of your chimney will incur damage. Plus, toxins such as carbon monoxide have a chance to get inside your home. As a point of reference, it is highly recommended to have your chimney liner checked out whenever you have your roof redone. Every year you should have your chimney waterproofed to ensure its ability to keep you and your family safe. Waterproofing is included as a normal aspect of annual chimney maintenance. Waterproofing your chimney each year will reduce the potential for leaks to create larger and more costly issues. Your chimney crown plays an important role in the interworking of your chimney. The crown is located at the top of your chimney and can be thought of as a protective umbrella. Without a properly secured crown, water, rodents and debris have a chance to get inside of the chimney flue. Turnbull Masonry has remained the trusted name for all Toronto chimney rebuilds and chimney repairs. We take our work very seriously, providing you with the very best services at competitive prices.